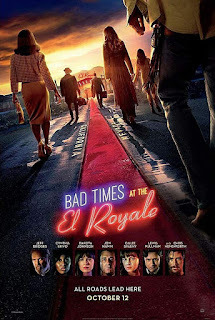 Read Lauren's review of Bad Times at The El Royale. Seven strangers, each with a secret to bury, meet at Lake Tahoe’s El Royale, a rundown hotel with a dark past. Over the course of one fateful night, everyone will have a last shot at redemption… before everything goes to hell. Jeff Bridges, Chris Hemsworth, Jon Hamm, Dakota Johnson and Cynthia Erivo lead an all-star cast in BAD TIMES AT THE EL ROYALE. Going into Bad Times at the El Royale, I didn’t have a lot of background on the plot. The previews were very mysterious, so I just figured it would be an interesting thriller – and I was right. Giving off very strong Quentin Tarantino vibes, Bad Times at the El Royale delivered a lot of twists and turns and some crazy character development. 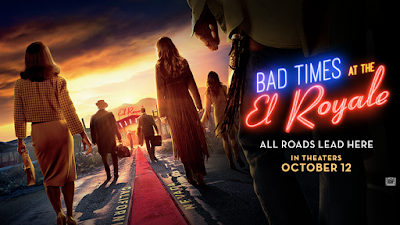 Bad Times at the El Royale features 7 strangers all with their own secrets who run into each other at a shady hotel with its own secret in Lake Tahoe in 1960s California. 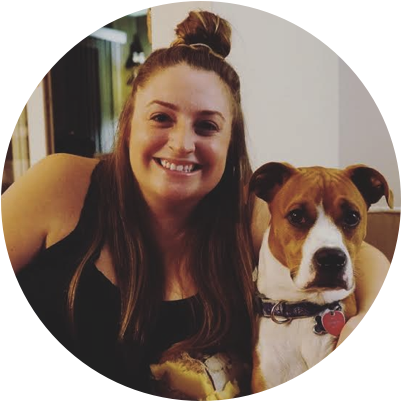 Starring Chris Hemsworth, Jon Hamm, Jeff Bridges, Dakota Johnson, Lewis Pullman (who looks exactly like his dad Bill) and my personal favorite – Cynthia Erivo, we come to learn how and why all these characters ended up at the El Royale Hotel. What unfolds over this one fateful night is chaotic madness! We spend the first half of the movie trying to figure out who’s good, who’s bad, and who’s just unlucky. The second half lets all the mystery unfold and it’s not anything that you’d expect. I really enjoyed Bad Times at the El Royale, and don’t think twice about saying this is easily one of the best films of 2018. Every actor delivered an amazing performance, especially Dakota Johnson. It was great to see her step out of the 50 Shades shadow and deliver a very gritty performance – something I hope to see more of from her. If you love Quentin Tarantino movies and a good mystery thriller, head out to the theaters and find out just what goes down in Bad Times at the El Royale.